How Much Will This Save Me? A lot of the excitement about cloud computing comes from the simple fact that most CIOs view the cloud as a way to reduce the cost of running an IT department. However, before visions of cash savings start dancing in your head, you need to answer some questions first. Roger Cheng over at the Wall Street Journal has taken a look at where the expenses in running an IT department come from. What he’s discovered is that servers run about $2000 – $6,000. This capital expense can be avoided if instead of buying more servers a CIO simply subscribes to more cloud computing resources when it’s time to expand the company’s IT infrastructure. In addition to saving on buying more servers, there are potentially other savings that a CIO can realize by moving to the cloud. Buying more servers would require more IT staff to act as systems administrators – no servers means no hiring of additional administrators. Are Cloud Services Reliable Enough? It seems as though every other month or so there is another story in the paper about some cloud provider having an outage. One time it’s Amazon, the next it’s Google. Given the importance of information technology, as a CIO you need to be asking yourself if this cloud computing stuff is really reliable enough for you to be trusting your company’s IT infrastructure to. It turns out that the analysts have taken a look at the overall reliability of the clouds that are being provided and they are as, if not more, reliable than most company’s IT infrastructure. One reason for this is that providing a cloud is all that the providers do and so they hire and staff in order to ensure the reliability of their product. What Don’t I Know About Clouds? The wise CIO knows to ask “what don’t I know enough to ask about?” One key issue has to do with your company’s most precious asset – its corporate data. When you move this data to a cloud, you are asking another company to take care of it. Are you comfortable doing this? Is your company really going to save money by moving to the cloud? Not every company will – it all depends on how your IT department is set up now and what it’s going to look like in the future. You have other options for saving money – virtualizing the servers that you have today is one way to accomplish this. Cloud computing is all the rage these days in the IT sector. 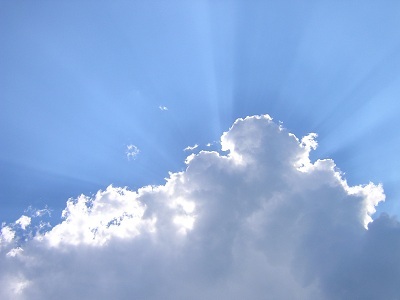 CIOs are getting more and more pressure to introduce cloud computing into their IT departments. Before they take this step, they need to get some questions answered. The promise of cloud computing is that it will save the IT department money. Do you know where these savings will come from? How does the reliability of the cloud compare to your IT department’s current level of reliability? Finally, what other options besides cloud computing do you have for boosting your IT department’s performance? Cloud computing appears to be here to stay. However, that doesn’t mean that every CIO should race out and jump into the cloud today. Take your time and get the answers to the important questions and your next step will become clear to you. Question For You: Do you think that the company’s finance department should be involved in determining if the savings of moving into the cloud would be worth the effort?